Zeke is Pet of the Week! : He needs a home for the holidays! You are here: Home / Pet Corner / Zeke is Pet of the Week! Zeke is Pet of the Week! He needs a home for the holidays! Eek, it’s Zeke! What a love this guy is! He’s 10 years old, walks great on a leash, and so wants to be home for the holidays! Yours, if you want to get cozy with someone who’ll appreciate a warm hearth and heart. 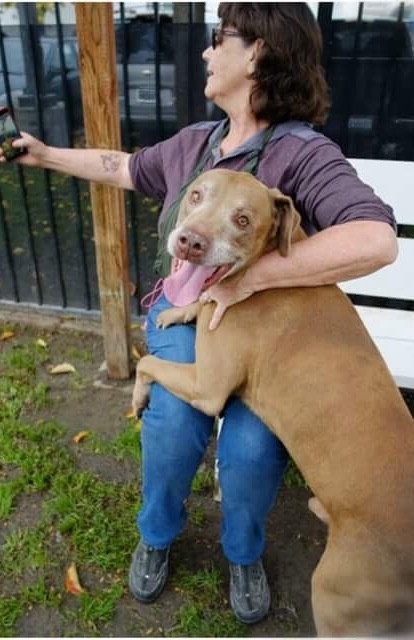 Meet Zeke at Long Beach Animal Care Services, 7700 E. Spring Street, Long Beach. Ask for ID#A582180. Credit: Courtesy of Long Beach Animal Care Services. Awe~ he looks so sweet! I hope he finds a home soon!!! Hi Zeke!! You’re a cutie!! He looks like he would eat a lot!! Enjoy him! Zeke looks like a loving sweet heart! I hope he finds a home soon! He’s adorable. I wish he could be a part of my family! So sweet of you to take interest in this sweet boy! I am sure you will find him a furever home!